TURIN – Fiat Group will make 300,000 fewer cars than planned in Europe next year, according to figures reported by an Italian business Web site. Automakers are reviewing their production plans for next year in response to a worsening European market outlook. Fiat Group expects to produce 1 million passenger cars, linkiesta.it reported. That is down from a forecast of 1.3 million at the start of the year and 13 percent less than the 1.15 million units Fiat Group aims to make this year. 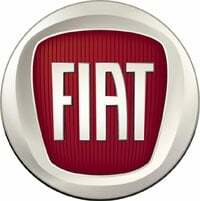 A Fiat spokesman told Automotive News Europe the company does not comment on figures that are "purely speculative." According to the Web site, which reported that the story is based on internal company documents, Fiat changed its output plans in September. During the 2008-2009 global financial crisis, automakers with a large inventory of unsold new cars were hit the hardest. Since the crisis, automakers have tried to keep their inventories low. At the end of September, Fiat and its dealers had a combined inventory of about two months of sales, slightly up from 1.9 months in the same period a year before. At the start of the global financial crisis in September 2008, Fiat was caught with an inventory at 2.5 months of sales. Western Europe's sovereign debt crisis is expected to result in a third consecutive year of sliding sales. The forecast new-car sales volume for 2012 is 12.51 million, which is down from 12.77 million expected this year and 2.3 million units below the 14.8 million peak seen in 2007, according to LMC Automotive Forecasting. Financial analysts at Morgan Stanley in London have a more pessimistic outlook. They expect a 5 percent decline in new-car sales and believe the decrease could reach 10 percent due to shrinking credit availability for customers and governments' inability to fund new scrappage schemes.